When we lived in the North-shore of Chicago, we frequented a great pancake house that served different kinds of pancakes. It is cooked in a pan and puffs up. The sides are lightly crisp and they squeeze lemon on it and dust it with powdered sugar. Best eaten on premise. 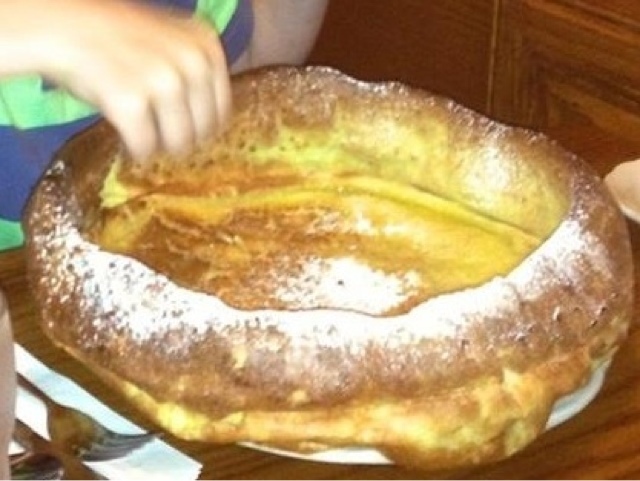 My second best favorite is the Apple Dutch Baby.